This post was brought to you by pre-planning and vodka. I just knew moving would break my blog and I’m doing what I can to fix it, but I have over 250 blog posts and probably three times that in pictures to fix. One day at a time, eh? Definitely not vodka every day though. That would get gross. This was a combination of challenges: #NailArtChallenge’s Ice Lover, #NailCraziesUnite’s Winter Animals, #NailChallengeCollaborative’s Blue. 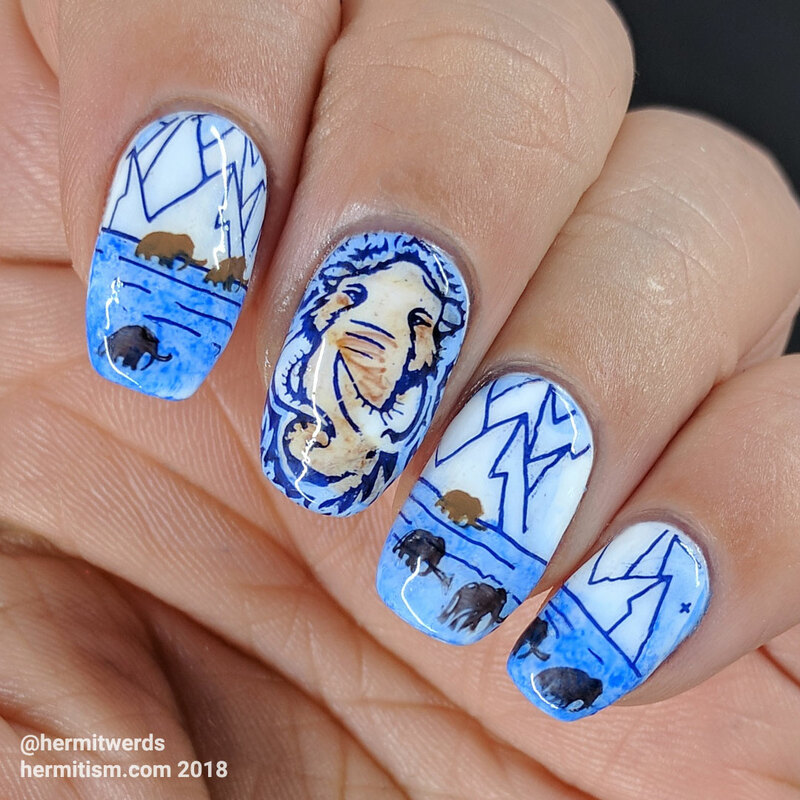 At first I was going to do a penguin manicure, but I was looking through my stamping plates to plan for a different mani and realized that I could also do a woolly mammoth mani instead. Sold! I had my trust white gel polish base on so I just had to stamp on the outlines and color things in with sharpie ink and rubbing alcohol. I love using dark non-black colors as my outlines. 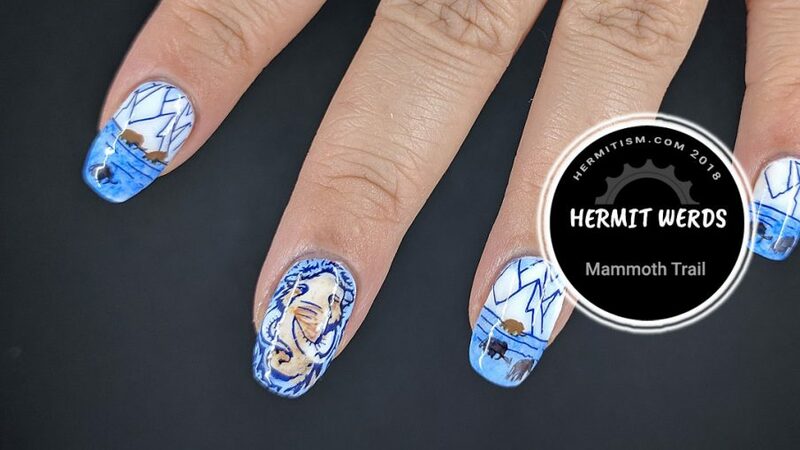 It can really add depth to a mani. And it amuses me a lot that the tiny mammoths kind of make it look like an old pixel-based computer game. It would be so cool if someone made an Ice Age version of Oregon Trail. I’d set up camp and kill mammoths all day. It’s not a waste of meat if it made me happy! And the best way to win Oregon Trail is to be super rich from trading meat and only have one family member left alive. Now there’s a challenge!